Android TV boxes have become very popular for streaming media and playing games. While they are mainly used as entertainment units they are capable of much more. Here we list some of our favorite tips and tricks to help keep your box running fast, and some features that can come in handy. 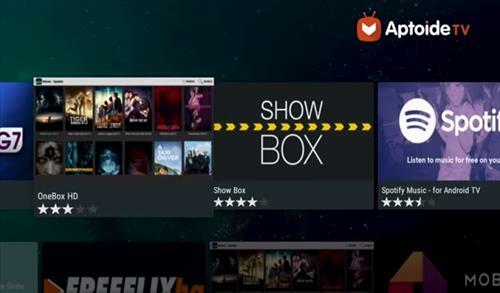 Aptoide TV is an alternative to the Google Play Store and Amazon App store. It gives a great alternative from being tied to the big brand names which often block or limit what can be installed. This includes many top APKs such as Terrarium TV and Modbro along with games and much more. Aptoide works on most any Android device including Fire TV Sticks which gives a great way to break free from Amazon and install what you want. Many android TV boxes are prone to overheating mainly when playing games. 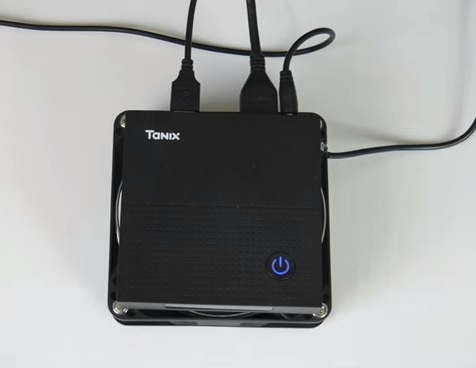 There are many ways to help keep a unit from overheating with a USB Cooling Fan a quick simple low cost fix. The fan simply plugs into the USB port on the unit and the box sits on top. There are many USB Fans available such as the ELUTENG 1500RPM unit. Having apps running in the background use up unnecessary memory causing slow downs which can be freed up for better use. Android TV does a good job at memory management, but sometimes apps don’t close right, or have an error and keep running in the background. Some apps can still be running in the background even after powering down a unit. It is easy enough to close out of background apps depending on the controller used. Some boxes don’t work with this method if it doesn’t work for you read the keyboard method next. Using a standard remote control look for the symbol with three lines. Once the button is pressed all the background apps will pop up in minimized boxes. Using the arrow keys go to the app you want to close and click the right arrow key. Clicking the Right arrow key will close the app, do this for each one you want to close. An alternative method is to use a keyboard. This method has worked on all the units I have tested. It can be any keyboard from the small mini ones to large USB keyboards. Press the ALT key and keep it pressed. While holding the ALT Key press the TAB key once and the background apps will come up. Keep pressing the back arrow to close each app running in the background. While Android TV boxes do a great job playing videos and playing games, they can do a lot more such as edit and work with Microsoft Office documents. Its free to do and simply requires downloading an app from the Play Store. There are several apps available with one of the best being Smart Office 2. 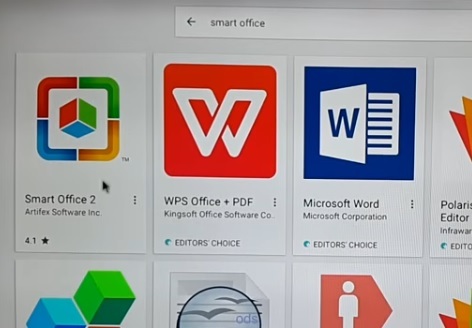 To get it go to the Play Store and search for Smart Office 2 and install it. Using Smart Office 2 you can view, edit, create, print, save as a PDF and share MS Office documents. 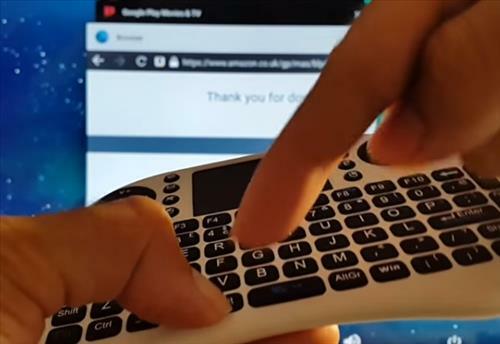 The standard remote controls that come with Android TV boxes can be limiting at times. A much better way is to use a mini keyboard with a touch-pad or one of the many other types of controllers. The onscreen keyboard does work but it is much faster and easier to have a small keyboard to type with. There are many low cost keyboards available in all shapes and sizes. 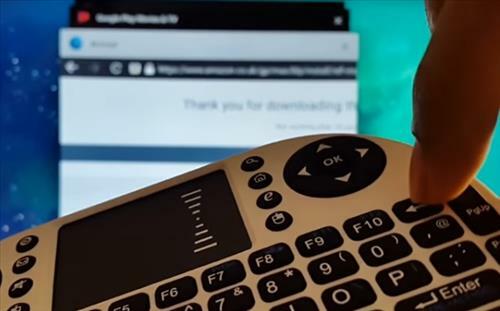 Read Here for Our Picks for Best Mini Keyboards and Remote Controls. Android TV boxes make for great video chatting devices. They plug in to a USB slot and stream the video on a TV, which is a nice feature if you do a lot of Skyping with friends or relatives. Not all Web cameras work with Android but many will. I use a Logitech HD Pro Webcam C920 which works very well. 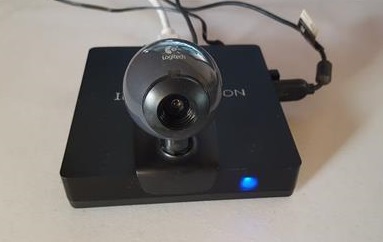 If you already have a Web Cam it likely will work, be sure it has a built in Microphone to pick up audio since most android boxes will not have a built-in mic. 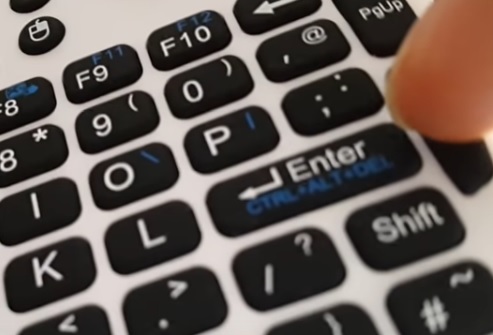 If you use a Keyboard there is no need to physically get up to restart a unit having problems. Like PC computers Pressing Ctrl+Alt+Del will reset the box. Most small mini keyboards will have the controls all located on one button that simply requires pressing it plus the FN Key. Pressing each Ctrl+Alt+Del key individually also works just as well. 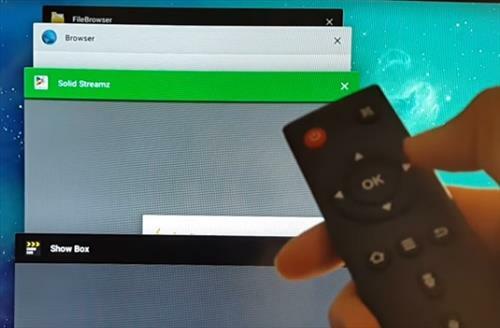 The above tips are just a few of the many things that can be done with an Android TV box. There is no doubt many more good ideas such as adding a printer or USB hub. While most will continue to use their boxes for entertainment, keep in mind they are nothing more than small computers that can do many things a standard computer can do. Do you have any favorite tips or tricks let us know in the comments below. Hi I have an Amlogic Octacore S912 6.0.1 AND WOULD LIKE TO KNOW HOW TO REMOVE HISTORY DOWNLOADS/UPDATES IN UPPER LEFT CORNER ? The browser wont remove them! Dale I have an older Android TV Box T95m, the only way I can clear the “Download History” from the upper left corner of my screen is to open the “Settings” then “Apps” under System apps find and open “Download Manager” then click on “Clear data’ then click on “Ok”, hope this works on your box. I have the same box. As far as what I’ve read the box does not support the Youtube TV app. I have read a lot of reviews about people complaining it is not supported and can’t be run on the MX10. I have a Matricom G-Box Q3 Android Media Player how do you save favorites as in I have a favorite tv show and want to save it for quicker access under the raspberry PI you could just add to and quickly click n show and then select season episode desired I miss this feature and cant seem to figure it out Thanks ! Suzy I also have the same problem after doing a fresh start on box I may get 3 or 4 mov then envy place else u go to nothing works. Try unplugging box for a few minutes then shut down an restart this might help for awhile. I have two Ott boxes. One smaller one and one larger one. Was having issues with slowing down and even not working at all after a while. Would clean the cache and do Factory resets as a fix. Found out they were overheating, so with my 3D printer I printed a platform and which I glued a fan and plugged it into the USB port. You can also buy these fans in Amazon. Hi I have a mecool m8spro android box when watching Iptv Vader the box sometimes shutdown a couple times. Please assist or recommend a solution. Hold the select button on the name of the source for 1-3 second and an edit box will come up. great works !!! now how to save favorites ? been searching just can’t find how ? I have downloaded STB Emu app but it does not show up in my apps list on my android TV box. I have to go the the APKinstaller app to launch it. How can I move not to my apps list. please I had this H96Pro android box, it’s working fine but a few days back now I can only watch youtube on full screen, I can’t read the comment either because it always goes to full screen and cant minimize. 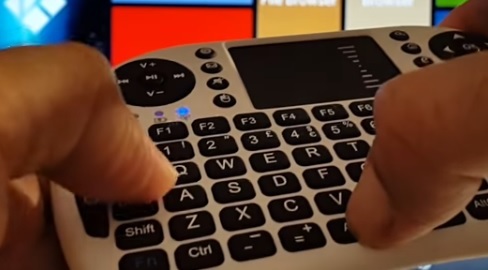 I had an RII wireless keyboard remote control connected to it. Please, anyone, knows of keyboard combinations to revert this to normal? During the play back of something, look in the bottom right corner, you should have 4 icons, subtitles, video settings, audio settings,and bookmarks/favs. Choose the video settings and then scroll down to zoom amount, this should allow the amount of adjustment you need. Hope this helps. Yes you can play krypton addons on a tv box with android 4.4.2. Bro i just got a mi box. Very excited bc i cut the cord the whopper was 225$$ for triple play for sht i can give a sht about. I got kodi with covenant and exodus on my laptop got an adk for live TV on my phone every channel in the us!! By the way idk what the fuk I’m doing. I gotta watch YouTube step by step instructions and pretty much just roll the dice. So some tech info i got an old lg rebel phone that you cant mirror as is a 5 year old Toshiba laptop with windows 7 and the box. So my question how do i optimize my relics.?? Please help slowly i just cracked open the new box with free offers and lots of free trial offers. Ps i got in a bad as wreck some fast and the furious sht. Anyway just got home from nursing home been gone almost a year 11 surgeries on my leg a month of dialysis and now I’m 35-year-old couch bound depressed motherucker who thank God am heavily medicated. Delete them use Incursion, Placenta, Firecat. If your new box is running kodi version 16.4 or less it needs to be updated. Fourth attempt you have a fast highway to your favorite tv/network or movie source you use. If using The 2017 Model GooBang Doo Android 6.0 TV Box, MXQ Android TV Box 64 Bits Amlogic S905X Marshmallow OS – There is an AUX opening in the rear of the box. Use a paper clip, or pen to reset the android tv box. Hold button while plugging in the power cable. This will reset the box to factory settings. Remote on new H96 pro plus didn’t work properly on home screen so…I pressed ctrl+alt+delete, it went to black screen then re-set and wow the remote worked on home screen again and also in kodi. I might suggest a few things concerning SD chip cards. I have several due to other use for photography and sound recording… but, in case you need to use one… I found it is better to use a chip reader on your regular computer and just FAT format the chip and check it to see if it works. Then, when adding the chip to your TV box, you have to make sure you have it inserted the correct side up…usually, it will only go in just a little bit if inserted on wrong side. But, say it does go in…. make sure you press it in with a blunt object or finger nail so that it clicks and locks into place. Or else it will now read. Go into settings from main screen and find Storage and reset… click over to device storage…. select Removable storage…. click on it and it will give you instructions to format the SD card to work with the Droid unit. You can usually use 16 gb or 32 gb….but very few units will be able to use 64 gb. remember, this is for external storage…. so you can use it to down load apps or movies and such and either play them from the SD or save them for later. Be cautious when buying a TV box on line. You have to read the fine print. A great many of the so called “deals” are that of the older model below 16.00 Droid…. Make sure you are getting only the newer updated chip of the 16.0 Droid. To answer the question of how many channels, unlimited…but, due to the crack down on the addons, you have to learn how to install several new sources and hope the new links are working. About the best suggestion here is getting one of the little hand held key pads. But…be cautious there too… While they may look alike….one type is blue tooth for Fire Stick…and the other is Blue tooth for Droid. The one for Fire Stick has built in blue tooth and the Fire stick is the receiver and you have to pair it in the Fire stick settings. The other is a blue tooth…but it has a small dongle that comes with the pad…but you remove it…and plug it into the Droid TV box in a USB port. You have to go into settings on the Droid box and pair the unit. Both work well…but, the one for Fire Stick is very sensitive on the touch pad and rather hard to control…but it works great for typing. For the newbies….if you have Fire stick use your Droid phone and install Apps to Fire from app store. Download KODI 17.6, then push it to the Fire Stick. I also like I HEART radio and that app works well also. For your regular Droid TV box…you have to have a Google app acct… you down load apps from the app store directly and not have to push them from your phone. I have only JUST become aware of these units and have NO idea what I am looking for or shopping essentials. I became interested when I seen an ad stating that I could purchase this box and get rid of DirectTV and Cable and have ALL TV channels FREE, as well as HBO< SHOWTIME ect., Is there any trught to that? With NO additional cost,contracts, add-on's? I was also informed that tihese are a form of 'pirating' and could eventually lead to legal complications?? 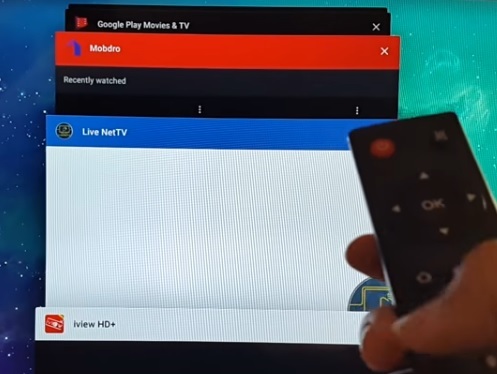 I have an android M8 tv box that I accidently erased everything on,how do I get it working again? All it does when I turn it on is it keeps searching continuously. Sometimes I get a notice to “check the log for more information”how do I do that and what does it mean? I wish some one would have replied. I am constantly getting that message. Its a log telling you the reasons behind an error. Most of the time it will be a whole lot of words you will have no idea what its saying. There are a lot who do know and you will need to upload it, with the error code for them to see. I can’t begin to tell you how this is done without confusing the hell out of you. While its not cracking a safe, it isn’t a piece of cake either. You tube is your friend. Where is yhe log?? You probably have some kind of maintenance addon, Indigo, Ares, Kcleaner. Go into your Programs from the main screen (where it lists Video add-ons, Music, picture, Program Android apps etc) inside there should be the above mentioned wizards. Inside one of those you should see several options to maintain your device, one of them will be a log file. It will be quite long as it records everything tje box is doing. Go back out to the app that gave you the see log error code and recreate the same acrions again and this time pay attention to tje time. Go back to log and find the time and what went wrong should be there…..this is what the developers and people in the know want to see to determine the issue. I have a Kingpin tv box which was working fine until the addons started to go away. How do I see what Kodii version I have? Will it update the same as the firestick which I am familiar with updating. Can one update an Apple TV 2 to Kodi 17.3? Cannot answer on the Apple. But for the Droid box…….first check to see what droid version you have… if you have Droid 16.00 you are ok and can use the new Krypton 17.3.. Less than 16…. then suggest you just use the box for simple apps. If you have KODI installed, you probably have Jarvis 16 which is out of date and prone to problems. Bite the bullet and delete the old KODI Jarvis. Click on settings and go to Device…. then go to apps…. find the app you want to delete and it will usually let you just delete or un install it. Then, with the wi Fi working and your acct set up…go to Google Store and down load KODI Krypton 17.3. It will take usually 5 min or so to settle down. Before you try to install any add on links…… it is better to go to your regular computer and search usually asking for the most working links as per the month and year you are currently in. Indigo and Fusion are not working….so just live with it. 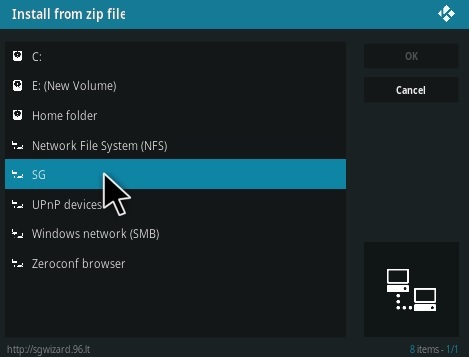 There are other links…and you need to know how to set up KODI to install those links. Rather than take time here…it is best to read the detailed instructions on those sites that lead you to usable addons. For the first time usage….do not try to change your skin settings… it is easier to just leave them alone and follow the instructions they give you using the skin that first comes up …..much easier to follow. Absolutely the first thing to do is go to System Settings logo click…and then go to ADD ons and click unknown sources to the right or on…. if you do not do this you can waste hours of your time… nothing will install unless you do this first. old saying…. all else fails…read the instructions…. some of the add on links are quite detailed and very helpful. there is a fix for droid 4.4.2 to install kodi 17.3 krypton. open app store and locate EBox Store. Scorll over to Kodi 4.4 then click install. It worked for me. 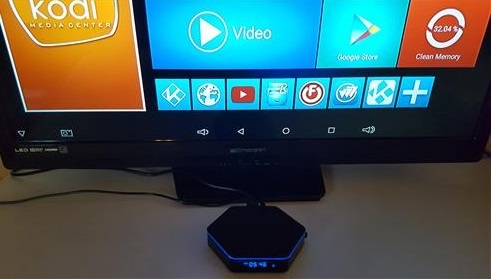 I have a 2017 Model GooBang Doo MXQ Android 6.0 TV Box, MXQ Android TV Box 64 Bits Amlogic S905X Marshmallow Os – it is stuck on the screen stating E:cannot load voulume/misc! – its is recovery mode but I don’t know how to fix it. It just stays on this screen….any help would be so much appreciated. For grins, take a close look around the back and bottom for a small tab or hole. Usually these units have a re set there. You power off, hit reset… then power on…and hold reset down.. Usually the unit will be like a computer and re boot. If you can get to the first screen…. try to get to Settings and explore what you need to get started. Usually when you reset, they usually want you to go to settings and set up a wi fi connection. Then most of the Droids will request that you fill out a Google account to use the Google store to get apps. If you already have an account with the app store, just log in. Usually they have a screen that you put the info on to. 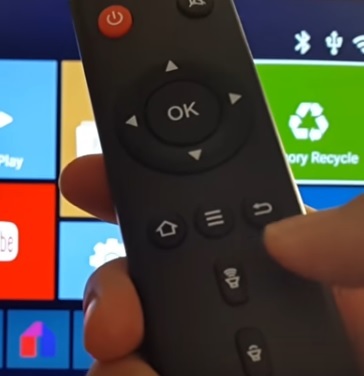 Using just the remote you get with the unit, you have to learn how to use both the cursor arrow, and the click direction ring. Usually, there is a little picture of a mouse on one side…press it and you can use cursor…..press again and it will use click directions. please turn on WI FI . Find the selection that says Wi Fi Device…. on off….. select on (highlight it) It will start scanning for an open site. High light your site and click. Sometimes you might have to put in your pass code…but mine was already remembered from earlier. I am now connected to Wi Fi and can down load apps…or make other things like KODI work. Is there any way off hiding from virgin media (cable) I’m sure I’m being blocked from mamas sports channels. They was working fine last night I started loosing connection same today? Virgin have no lawful right to block you. I have an old 2014 avov box. Can’t get it working without ethernet. When I try to add one thru wifi icon it just say ‘add’ but there’s no list of routers..any ideas? 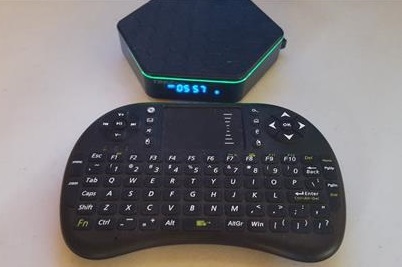 How much does this android tv box cost and how many channels can you get. They can be had on eBay from $40 – but i would spend around $100 – get one with a minimum 2gb ram and 16gb hdd space. Android 6 as a minimum as well, the Kodi version doesnt matter as it can be updated. You can download Apps which will give you dozens of channels in english or foreign language.